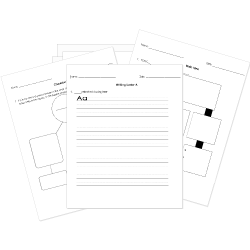 Check out our pre-made Literature worksheets! You are browsing Grade 7 questions. View questions in All Grades. You can create printable tests and worksheets from these Grade 7 Aesop questions! Select one or more questions using the checkboxes above each question. Then click the add selected questions to a test button before moving to another page. What is wrong with king? He is ill . The wise man believes that the shirt of a healthy man will cure the king. It was very difficult finding a truly happy man. The rich men seemed to be sick . All the healthy men seemed to be poor. When the king's men finally found a truly happy man that could cure the king, what was the problem? The wise men believe that the shirt of a truly happy man will cure the king. In the story "The Moose and the Sparrow", the conflict is man vs. man between two men working at a logging camp. In protagonist vs. antagonist terms, which answer is true? It is very difficult for the king's men to find the shirt of a truly happy man. What is wrong with the king? He is ill .